The international community will gather today in Palermo for a two-day conference seeking to draft a peace deal for Libya. The conference is expected to host high-level delegations from Turkey, the Gulf countries and the European Union. It comes as an initiative to hold elections in the North African country in December failed. 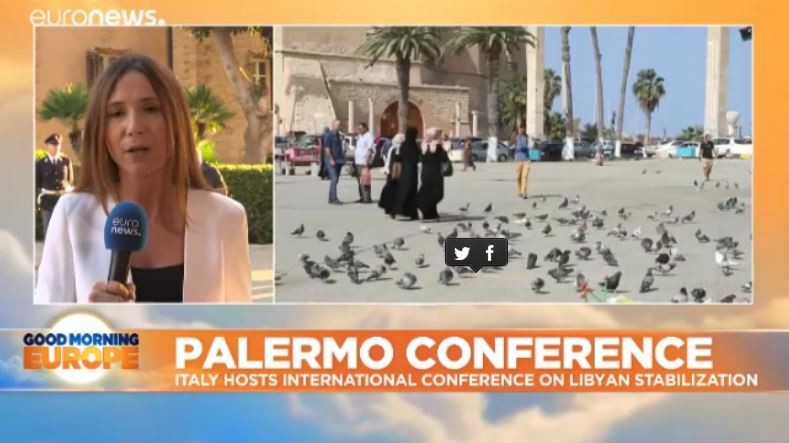 “The aim of the conference is to bring together opposing forces, that are part of this very complex scenario in a very much divided country,” Euronews Correspondent Giorgia Orlandi told Good Morning Europe. Migration, presidential elections and support for a potential ceasefire will feature prominently on the conference agenda. Seven years after the overthrow of the Gaddafi regime, Libya is still indelicately balanced between two rival political authorities, the UN-backed Government of National Accord in Tripoli and the Interim Government in the cities of Tobruk and Al-Bayda in the country’s east. Army chief, Khalifa Hifter, is the weight behind the latter.